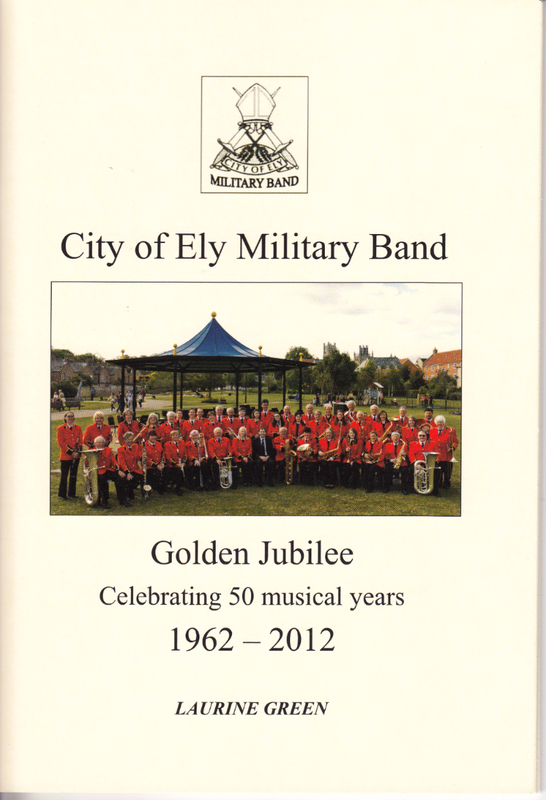 The City of Ely Military Band is a wind or military style band which performs at venues all over the eastern region. We include a variety of instruments from the woodwind and brass sections and currently have a membership of approximately fifty members. We perform a wide range of music including traditional marches and ceremonial pieces, overtures and waltzes, show and film scores as well as Latin American music. We like to provide something for everyone in our concerts. The Band performs at a variety of engagements throughout the year. These range from summer performances for the local villages to ceremonial occasions and our own seasonal concerts. 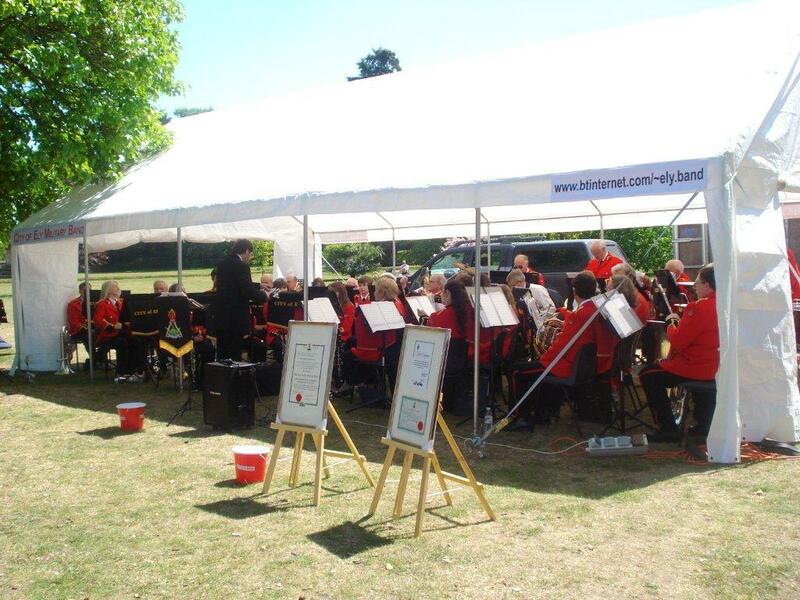 We perform inside or out and have equipped ourselves with all the necessary defences against the English weather in the form of our own marquee. See our Engagements list for details of where you can hear us next. The modern Band celebrated its 50th year in 2012 with a packed programme of concerts and unique performances. See our photograph gallery for memories. To commemorate this anniversary our Band historian has published a book. The book recounts the formation of the first Ely Band in 1908 and follows all its successors through to 2012, describing their activities and the local people involved. We do not ask new members to audition, we only ask that members have an enthusiasm for performing and are willing to commit their time to the band as much as possible. If you are interested in joining the Band then please contact the Musical Director.